A hallmark of professionalism for any writer is how they network with the publishing community. This in itself can seem daunting to some writers, who are deemed to be introverts by their very choice of vocation. If a writer's social skills are such that they would rather talk to imaginary characters, then how can they possibly elevate themselves to a level of decorum whereby a literary agent can thrust them into the limelight? Those that eventually publish your book need to have seen clear evidence that you can be trusted in the wider world, and especially with the demands of the media. So you need to be mindful of the ethics involved in the early stages of your career as a writer. The publishing industry is not just a profession of words: as with your fiction, action speaks louder. There is a code of behaviour which must be adhered to at all times when dealing with literary agents and publishers. Failure to respect this can tarnish your name, and at the very least is inexcusable. Treat them with the same courtesy you would expect if you were in their position. Never turn up unannounced at the offices of a literary agency or publisher, asking for a response to your book. You would surprised how many actually do. Some have even turned up dressed as one of their characters to make an impression. It does indeed leave a lasting impression: no publishing professional will ever want to do business with you. Never call their offices if you have not had a response to your submission. Some might argue that after the standard wait time of eight weeks, it is okay to call and politely ask for an update. Try and avoid this. Literary agents and publishers are so inundated with administrative duties, and meetings in relation to their existing clients, that catching them on a bad day might see your manuscript being trashed by their assistant. If after eight weeks you have not heard from them, and you are incapable of patience, then simply submit your manuscript to someone else. If you are fortunate to meet a literary agent or publisher, either randomly, or at their client’s book talk, do not pitch them. Use the opportunity to introduce yourself, and when you later submit to them you can mention you met them at such and such. They will appreciate your initial restraint to pitch, and be more inclined to read your submission. If you receive a rejection letter, do not use it as a basis for a stinging attack on their judgement. This is a publishing community, and as such the literary agents and publishers all know each other from attending the same events. If they experience unprofessional behaviour from a writer after having rejected their manuscript, they will share this with their colleagues. Hence putting a black mark against that writer throughout the community. The majority of publishers only accept submissions from literary agents, and do not accept unsolicited manuscripts from writers. So do not show initiative and submit yours. The same applies for literary agents who clearly state they are closed for submissions. If you submit regardless, it is akin to when you receive cold calls at home from a marketing firm trying to sell you something. Remember what that feels like, and you will comprehend how they feel about your intrusion. Never submit to more than one literary agent at the same agency. Some writers who have their heart set on one agency have submitted a personal copy to every agent in their book department; or others resubmit the manuscript to another agent at the agency which has just rejected them. Writers need to understand, submissions at agencies are not a closed subject. Through meetings, and coffee breaks, they discuss their submissions with each other. In some instances literary agents have passed a submission to another agent at the agency if they feel it is more suited to their requirements. Their assistants, who do most of the reading, also log which manuscripts have been submitted to the agency, and they will know if a submission comes back in after shortly after being rejected. Always stick to the ‘One Agent, One Agency’ rule. If you do wish to resubmit to the same agency, wait at least a year. This should give you ample time to rewrite your rejected manuscript, or better still, submit a new book for their consideration. But be sure to demonstrate you have taken onboard any criticisms they expressed, or implied, to improve yourself as a writer. Never approach an author with your manuscript and ask them to send it to their agent. This shortcut has been tried by a string of rebuffed writers, who show no decorum for the client, or the guidelines of their literary agency. Do not use social networking sites to pitch literary agents or publishers. Furthermore, if you have submitted to them by the proper channels, do not use these sites to contact them asking for an update. Producing a polished manuscript is only half of the battle in your bid to be published. How you conduct yourself is remembered. 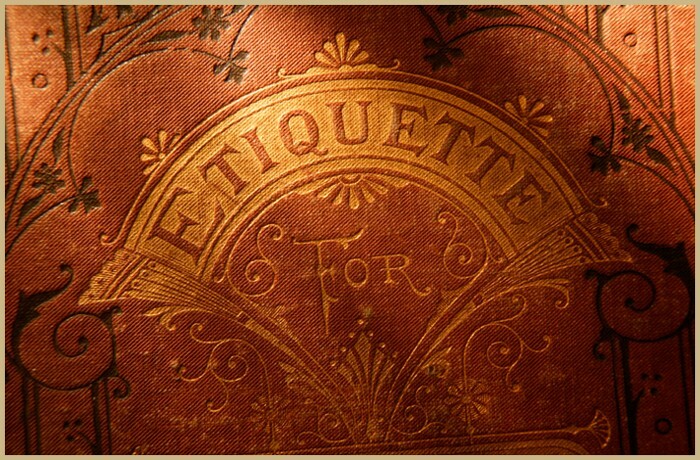 Therefore an understanding of publishing etiquette is essential, for it will open more doors than it closes. If you want to be accepted by professionals, demonstrate that you are one.